Want to Improve your Nutrition and Wellbeing? If you want to improve your health and nutrition one of the best things you can do is have a consultation with someone who is a professional and has experience in nutrition medicine. The food that we consume plays the most important role in our health. Good nutrition leads to a healthy energetic body and a clear focused mind. Are you getting exactly what you need from what you eat? Do you eat the right amount of protein, fat and carbohydrate? How do you know what is right for your body and if you are absorbing all the nutrients? I have tried to lose weight so many times!! Its actually fat you want to get rid of – not muscle weight. I utilise my experience in nutrition and kinesiology to get the best results in fat loss. I tailor a program unique to you, to ensure you lose maximum fat safely and quickly. It’s important that you are satisfied when you eat and don’t feel hungry. If you self sabotage with emotional eating I can support you with kinesiology, a biofeedback mechanism that talks directly to your subconscious and clears blockages. Do you want to look good and feel amazing? I undertake dietary consultations in my clinic in Brisbane and rooms in North Sydney. Our first session will take an hour and we’ll discuss your goals, medical condition, medications, physical activity, dietary habits and other relevant information. In this time I will test for any mineral deficiencies and we will discuss any food intolerances. I will provide you with an individualised comprehensive balanced daily meal plan tailored to your body’s needs. I may recommend specific targeted supplementation to rebuild cellular deficiencies. I charge $120 for an initial consultation and $95 for subsequent review consultations. 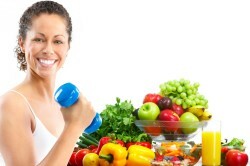 With extensive experience in nutrition and allergies I have successfully supported thousands of people in better health.